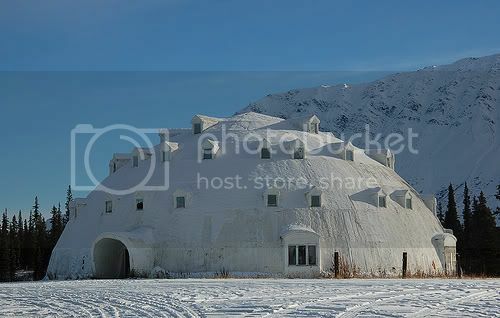 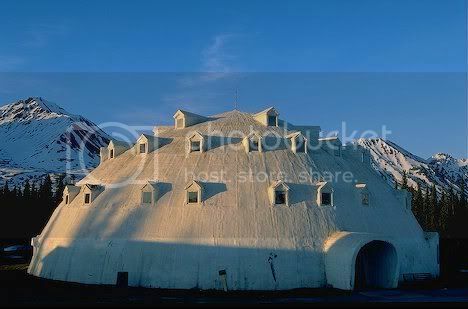 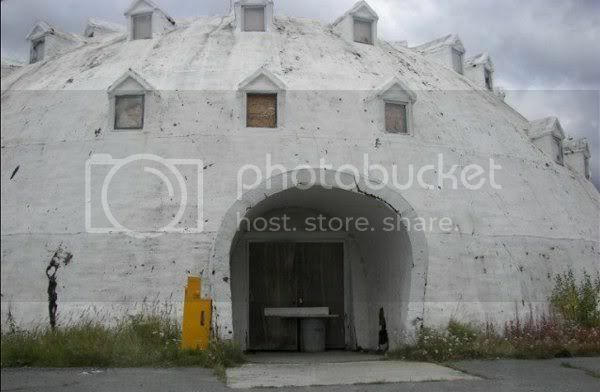 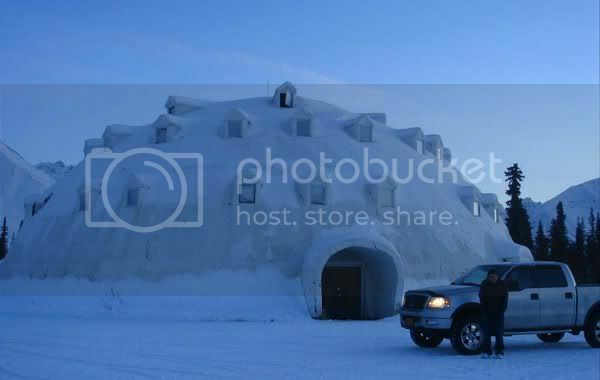 This modern twist on the traditional igloo is located on George Parks Highway, near (well sort of near... it's the closest town on the map) Cantwell. 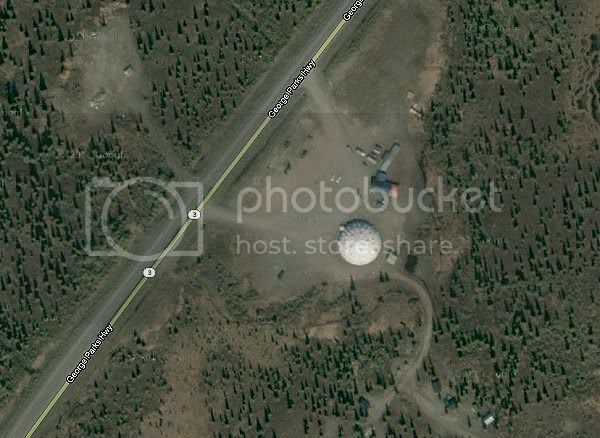 Googlemaps link at end of post. 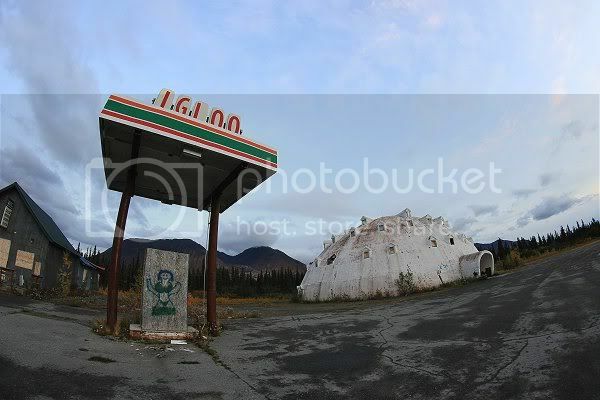 Not sure what it's used for but by the looks of the photos I found it seems to be abandoned. 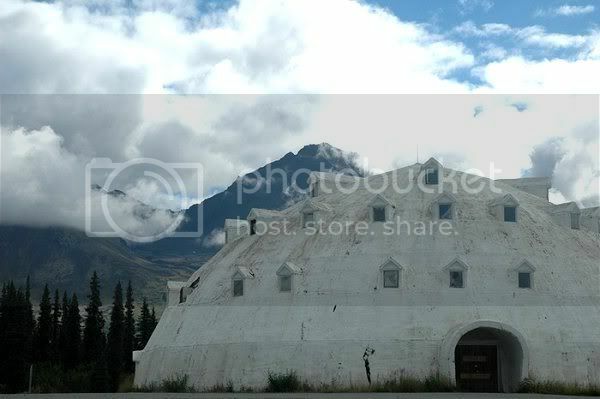 "This ambitious edifice was intended as a hotel, but never opened."